Croyde Coastal is a small friendly taxi service based in Croyde on the North Devon coast. 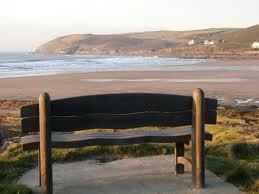 Serving the Croyde, Georgeham, Saunton and Braunton areas. We cover both local and long distance travel and offer connections to stations and airports both regional and national. If you are planning a visit to the area then we can collect you on arrival and take you to your holiday accommodation. Or, if you simply require transport for your group while in the area then just give us a call and we can discuss your needs. To book a journey or receive a quote just give us a call.